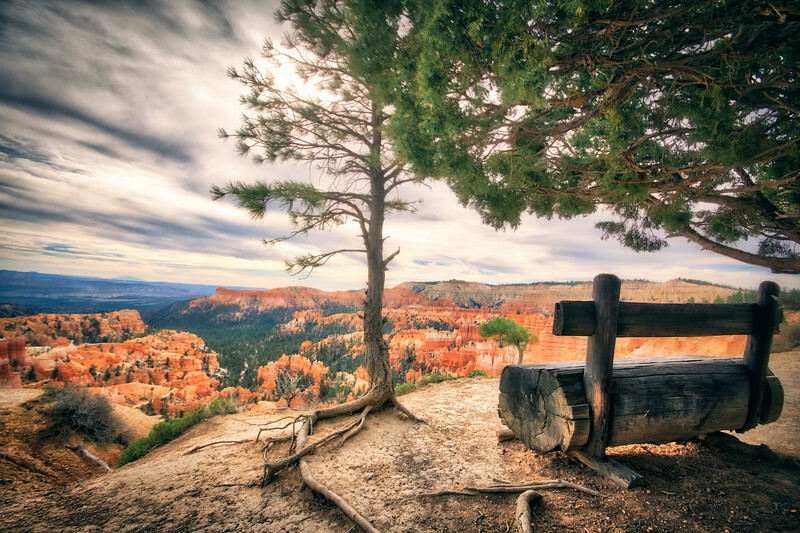 Zion National Park has loads of areas to rest and just take in the view. This bench here was one of them - I did not have time to actually sit down and relax, but I managed to take a quick shot. The tree in the middle was funny as it looked super out of place.